The team at Detlev Löll engineering office GmbH brings over 25 years of experience in the design, construction, manufacture and inspection of traditional, classic and modern yachts and ships. Developed from Detlev Löll's many years of experience in this area, the company now employs 5 experienced employees in the office and a varying number of employees (10-25) in major projects. Since 2016 Detlev Löll has been supported in the management by Lars Spieckermann. Detlev Löll was born in Hamburg in 1959, where he graduated from high school and started his shipbuilding career in 1980 in the shipyard Blohm & Voss, which he left as a steel ship builder journeyman. He then moved to Hamburg's Thalia Theater for a year, building sets and metal props as a theater-metal worker. After this trip to the world of theater, he built boats and kayaks made of wood and fiberglass for research projects and for the university sports business at the University of Hamburg starting in 1983. There he also worked as a lecturer and rowing instructor. In Lübeck, he then acquired his master in 1986 in boat and shipbuilding. His masterpiece was a racing shell made of carbon fiber. Next, Detlev went to Spain and worked for the shipyard "Varadero Rio Piedras" in the city of El Rompido. Here he built and repaired yachts and fishing boats made of wood and steel from 1987 for two years. His next stop was Cogolin in France in 1989, where he maintained and repaired yachts between 11 and 45 meters for Mordziol Yacht service. At this time, Detlev also began to work for the first time as an expert and consultant. After reunification, Detlev went to Wolgast in 1991 and initiated the project "Fridtjof Nansen". 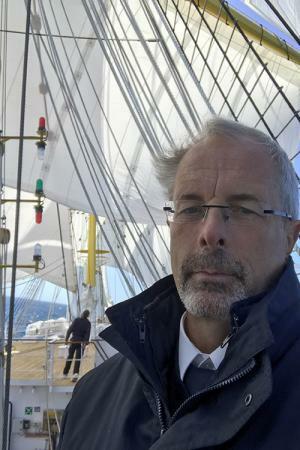 As part of a job creation scheme, 254 previously unemployed under Detlev's leadership restored three tall ships to be used as youth sailing vessels. In 1994, the project finally led to the founding of Fridtjof Nansen Werft GmbH, a shipyard for wooden and steel ships with 20 employees. Subsequent activities included the management of the shipyard navcon.naval consulting GmbH and neptun Peenemünde GmbH. In 2014, Detlev founded Detlev Löll engineering office GmbH, which focuses on the design and construction of mega-yachts and tall ships as well as their maintenance and restoration. From 2009 to 2011, Detlev led the reproduction of the racing schooner "Germania Nova" (design, engineering, building supervision) and has been taking over the management of the yacht since its completion. Detlev has been the owner and managing director of Detlev Loell Riggers Ltd. since 2015. Headquartered in London and branch office in Peenemünde. The company, which had 20 employees at times, specializes in the development, production and installation of rigs for tall ships. Detlev is married and lives with his wife Ursula Latus in Peenemünde. Ursula is also a master boat maker and her company "boot-workshop GmbH" offers not only the construction of classic wooden boats, but also amateur and experienced craftsmen the opportunity to build their own canoes and kayaks under supervision. Lars Spieckermann was born in 1986 in Bad Saarow am Scharmützelsee and spent there his childhood and youth. After his civil service in the rescue center of the Helios Hospital Bad Saarow Lars studied at the Technical University of Berlin Transportation with a focus on marine and marine engineering. He successfully graduated in 2014 with the title Master of Science. During his studies, Lars worked as a sailing instructor and boat operator for classic motor boats. He also completed an internship with a subsequent work experience of several years at the "Bootsmanufaktur, society for the preservation of classic watercraft mbH" as well as an internship with Detlev Löll during his master studies. Lars is married and has one daughter. Since October 2017, he and his family live on the island of Usedom. Sailing experience was gained during his childhood and youth in the boat classes Optimist and 420. Lars has been sailing on traditional sailing ships since 2012, including on the racing cutter Nobile. During an internship with Detlev Löll in 2012, Detlev and Lars got to know each other. Based on the internship and with the support of Detlev, Lars wrote his master's thesis in 2014 titled "Calculation of the strength of a mainsail rig to be optimized by weight using the example of the foremast of the HMS Beagle". In June 2014, Lars was hired as an employee at Detlev Löll and since then has been significantly involved in all projects of the company. Due to the good cooperation with Detlev, Lars was appointed managing Director of Detlev Löll engineering office GmbH in October 2016 and was also able to join the company in spring 2018 as a shareholder.